Every time I switch to a new cell phone I’ve had to disable 2-factor authentication on all my accounts in order to set them up on the new device. I just switched again and decided to make it easier. I had previously saved the secret keys for the various accounts in a secure location for just such a reason. You’ll need those keys for this solution to work. The solution is a QR code generator. Visit the page on your desktop and type the name, user and secret key, then point your mobile device at your monitor to scan the code into Google Authenticator (or whatever app you’re using to generate the six-digit codes). Hi, I wonder if you can help with my issue. When I use your denerator, and scan the QR code from this page, it works correctly. However, when I take the portion of the URL generated above and cut n paste it into a Google Charts URL, I see a problem. It generates a valid QR code that I can scan w/ my Google Authenticator app, butr the company name does not appear on the line above the OTP. For example., for user ‘jsmith’ and ‘Acme’ company, when I scan the bar code generated here, I get ‘Acme’ above the OTP, and ‘jsmith’ below the OTP. When I take the portion of the URL generated here, and use it in Google Chart url, I get nothin above OTP and ‘Acme:jsmith’ below the OTP. It’s only aq cosmetic issue, as everything still works, but I was wondering if you knew why that happened or how to fix it? Hmm. Are you referring to Google Chart Tools? If so, it’s deprecated so you won’t want to use it going forward. If not, could you point me to what site you’re using? Please how can I enable the 2 step verication? I have tried several times to click on set up but not working for me.Nigeria is not even in the list of the country code available. Could it be the cause? I just want to secure my accounts by getting Google authenticator code on my phone..
what if i cant remember the key to my generator? Then you have to generate a new one. I had a system crash and my backup codes are on it. I can’t get into three gmail account/Google due to having 2-Step when it occurred and not having outlook or my phone as recovery options. How can I install the Google auth app on windows, and will that work? @David R If you have the secret keys you can generate new tokens to login. gauth.apps.gbraad.nl is one option for that. But if you don’t have your secret keys, you won’t be able to generate codes to log in. 1. 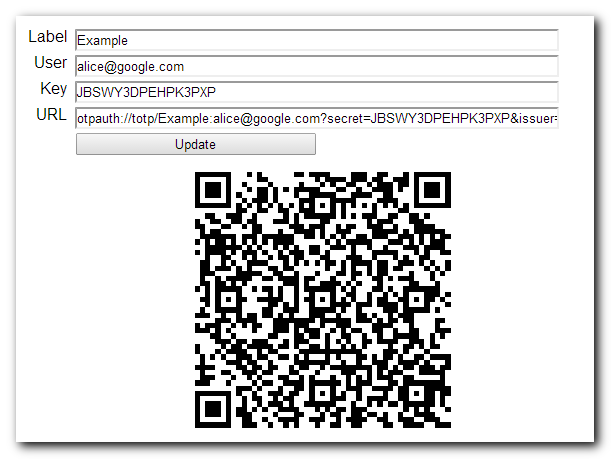 Remove the dummy QR Code as Google Authenticator tends to like to read it instead of the actual QR Code. 2. Allow us to create a counter based QR code instead of time based? It is only a change in the url from totp to hotp.